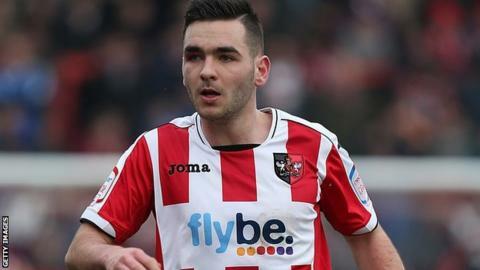 Exeter City's Jake Gosling has been called up to the Gibraltar squad for their friendly with Malta on 4 June. The 20-year-old is eligible for Gibraltar through his father, who was born there. Gosling, who has played three times for City this season, has recently been on a loan at non-league Gloucester. Preston's Scott Wiseman, and Louie Barnfather Marfe of non-league Evesham are the other English-based players in the squad. Gibraltar will play the game at the Estadio Algarve in the Portuguese city of Faro. Gibraltar and and the Republic of Ireland.